We keep referencing this grand moment in fandom in articles and convention panels, so it’s time to revive its importance in popular culture. 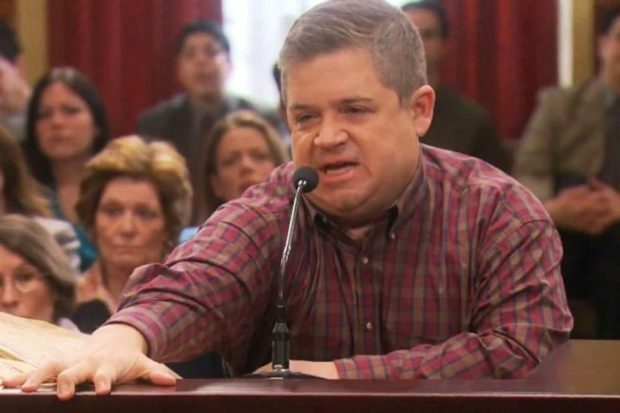 During Season 5 of the brilliant NBC sitcom Parks and Recreation, Patton Oswalt made an appearance in a Pawnee City Council meeting, and was allowed to improvise his speech, a filibuster initially responding to Disney’s purchase of Lucasfilm and Star Wars. As the filibuster goes on, Oswalt’s character expands his vision for Episode VII to include Marvel, and it gets crazier from there. Okay, we know it didn’t happen in Disney’s first Star Wars trilogy, but every year it seems more and more likely. Here it is in all its extended glory. Oswalt, of course, has two major appearances in Disney franchises — first as Remy the Rat in Disney/Pixar’s Ratatouille, and then as a set of siblings who became Agents of S.H.I.E.L.D.